Is there anybody in Hawke's Bay travelling down to Wellington for any Phoenix matches? Would be keen for a ride to Wellington from Waipukurau for this weeks first home fixture of 2010/11 Season. Coops in the Zone.....is a must!!! "Bar-Be-Que....Bar-Be-Que....and we all like Bar-Be-Ques!!!" Tauranga road trip in September anyone? Am seriously considering a day trip down for the Gypsies match on the Sunday of the Long Weekend (Oct 21st). I will drive down. and just to make it even more enticing, I'll be jumping aboard in Palmy. I can recommend C-Diddy road trips. Must like 80's music and Depeche Mode's "Just Can't Get Enough" repeatedly played. The hawkes Bay Fever Bus rides again!!! 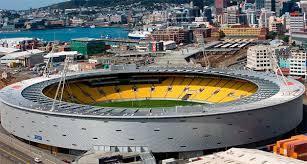 I'm going to reopen discussion here for travel etc to Wellington for matches. Hands up all Hawkes Bay folk on here? Who else in Hawkes Bay is keen? Station Bar tomorrow for the match anyone? I would mate, but I am going to the BackBencher and then to the Ring of Fire. Surely the Hawkes bay Fever Bus is coming to Wellington for the Jest visit? Appreciate your very generous offer Brandon but alas the Hawkes Bay Fever Bus sadly isnt likely to be heading south this side of the New Year. Any Hawkes Bay folks keen on meeting up for the match this weekend? Re-opening this in anticipation of the new season! Keen to find a few like minded people to meet up to watch games somehwere. As well as travel down for matches on occasion!